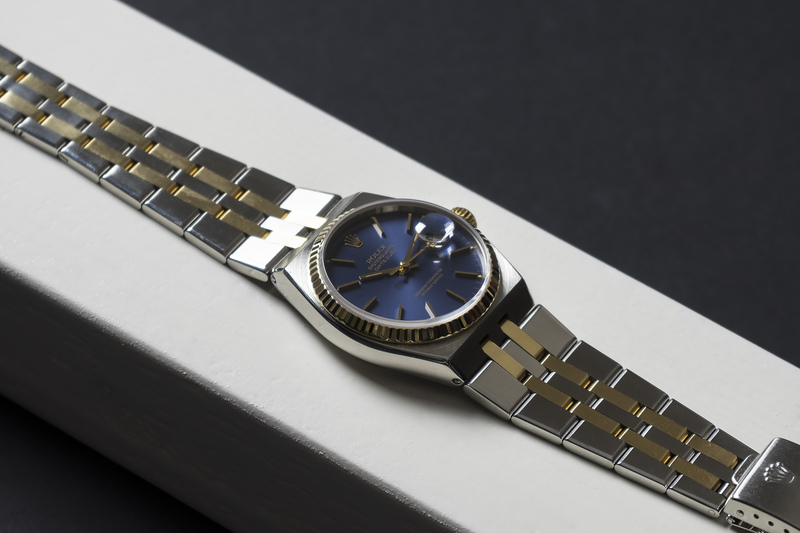 In the early 1970’s a new trend in the watchmaking business was introduced, a trend towards less expensive and more precise quartz movements, rather than more intricate Swiss mechanical movements. This quartz watch period was referred to as the ‘quartz revolution’ because it almost toppled the entire Swiss watchmaking industry. There was a huge hesitation from the established Swiss watch manufactures to join the largely Japanese and US produced quartz trend. 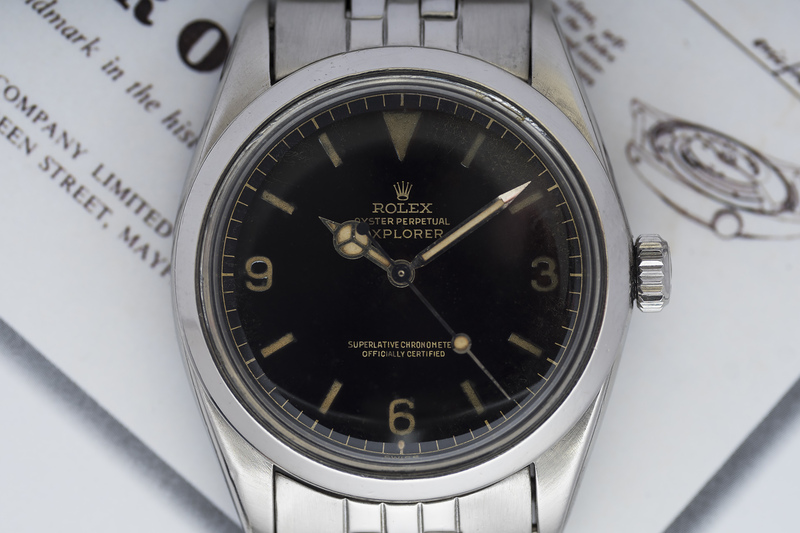 But in the end Rolex introduced their own Swiss Made quartz manufacture movements (and watches) and these are some of the best quartz timepieces ever made! 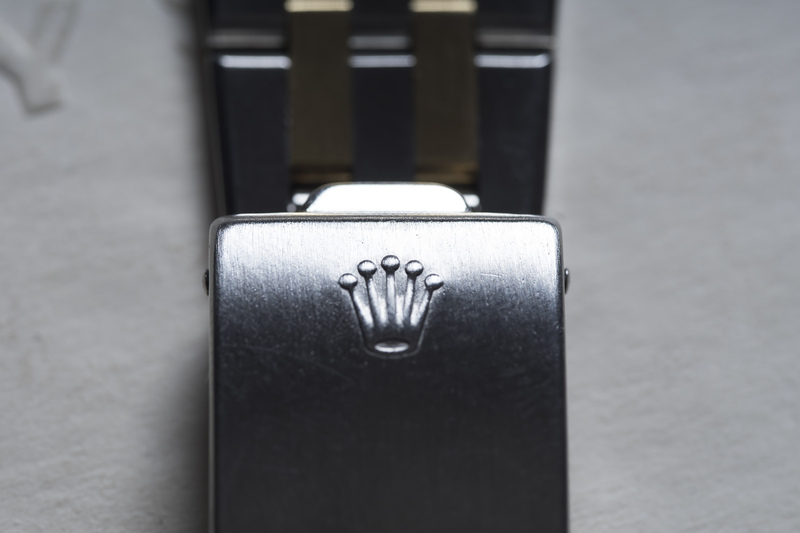 It took Rolex five years to design and fully develop their in-house quartz movement. 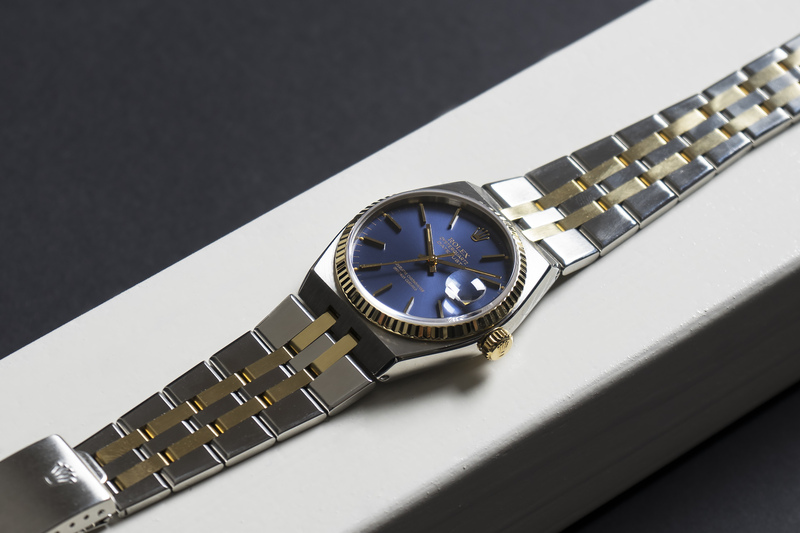 In 1977 the brand introduced the 5035 quartz caliber for their Datejust line, which is the same quartz caliber that is housed inside our early Oysterquartz from 1979. 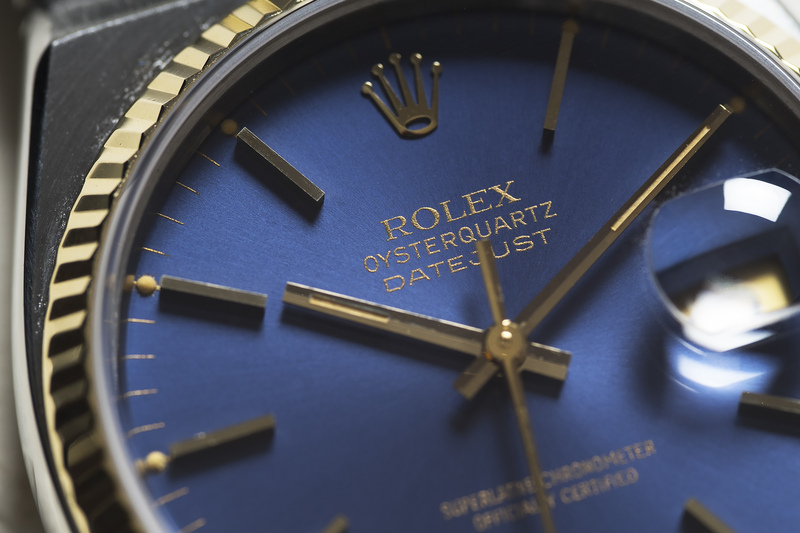 Our Datejust has a reference 17013 which means that it was manufactured from stainless steel and 18ct yellow gold. 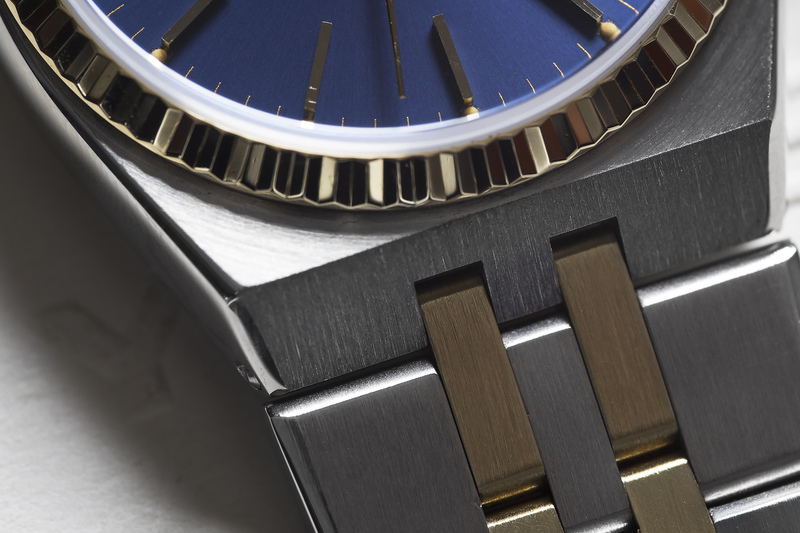 The gold and steel of the watch its case and bracelet are accompanied by a flawless and stunning blue dial with perfect patinated tritium dots and hands. 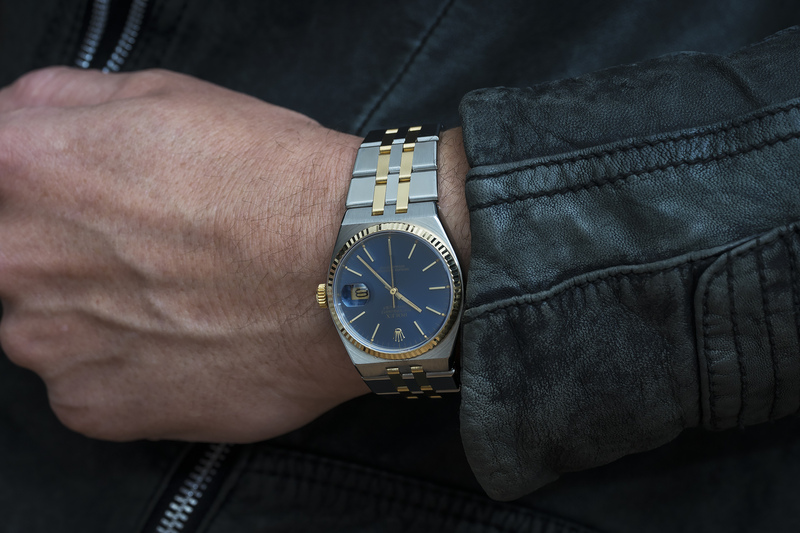 All gold hour-markers as well as the hands have zero deterioration while the 18ct yellow gold fluted bezel is very sharp and free from dents or any scratches. 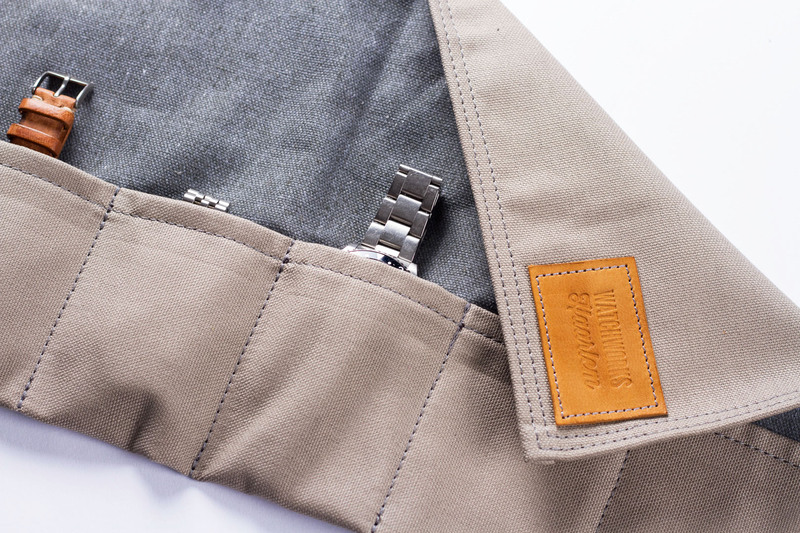 All the numbers on the back of the center-case are clearly visible and can be read without a loupe. The case and bracelet, along with the bezel haven’t seen much wear and/or polishing in the past, which makes this a sharp Oysterquartz with a tight and nearly stretch free bracelet! 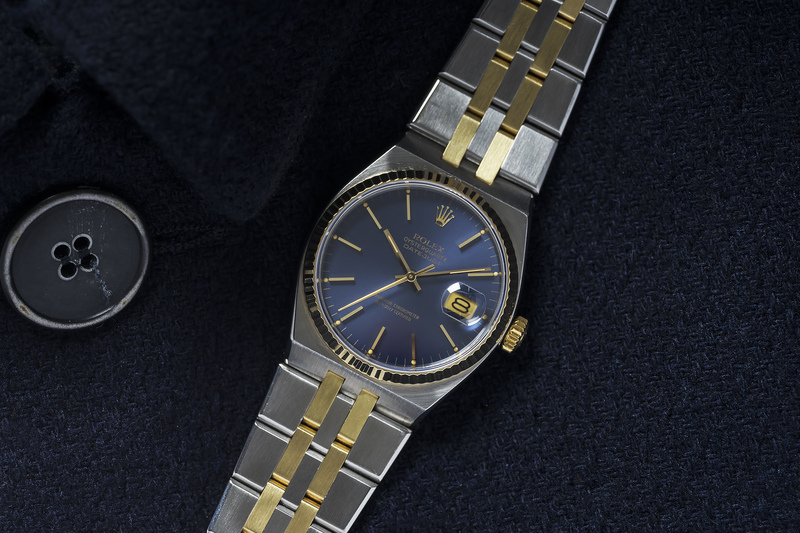 Although produced for 25 years, it’s estimated that fewer than 25.000 Oysterquartz watches were ever manufactured, making the Oysterquartz an uncommon and fairly rare Rolex watch. 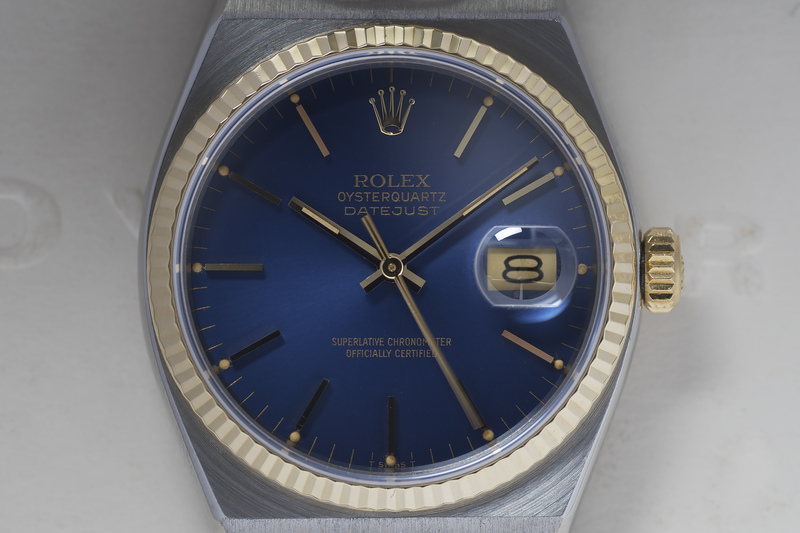 Certain Oysterquartz models remained in the brand’s catalog until 2003 after that, production of the line ceased. 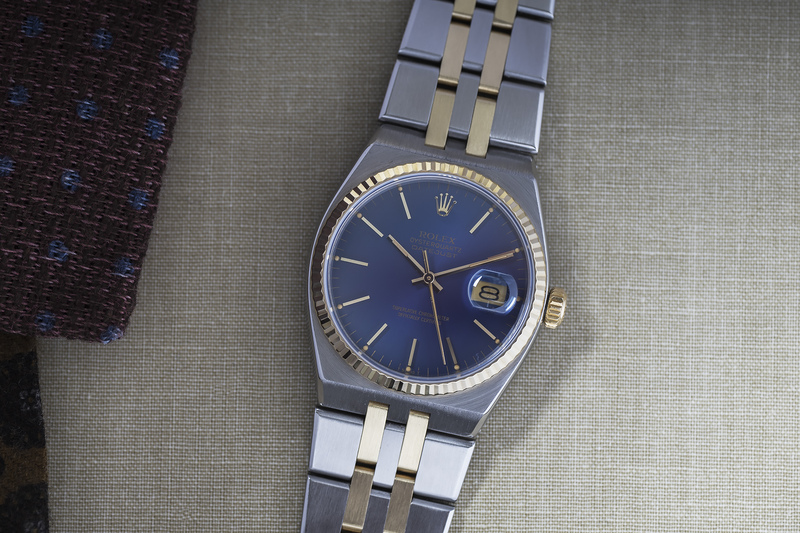 The Oysterquartz Datejust is a wonderful piece of Rolex history and one with a truly unique design to the Rolex brand. This bi-colour 17013 was fully serviced and the correct battery for the 5035 caliber was installed. The watch will be offered with a twelve month warranty. 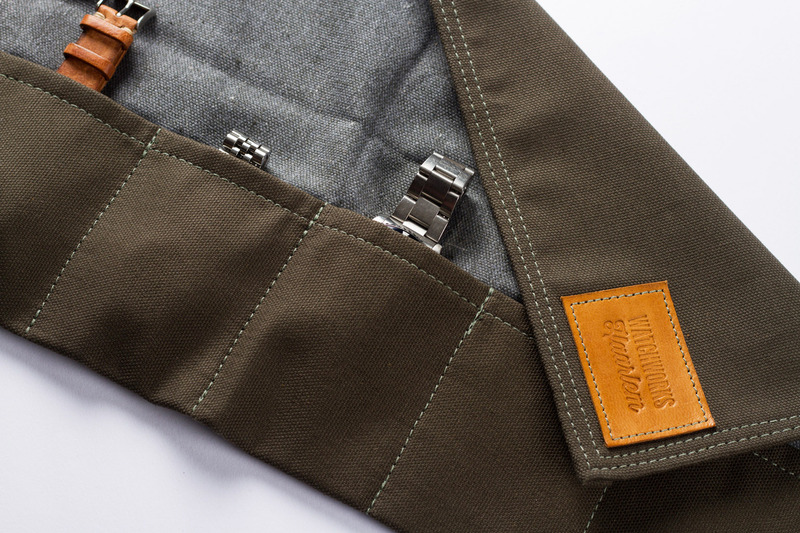 box and papers: no, but accompanied by a Rolex service pouch.